Like most children of the 90s, my first endeavour into the world of video games was afforded to me by way of a small handheld device and a collection of pocket sized monsters. Yes, I am of course referring to the widespread outbreak of Pokémania which left only the most neglected children without some form of a Game Boy in their grubby little hands and a copy of either Pokémon Red or Blue forever nestled inside the game slot. Since this pop-culture flash point, Nintendo have been the undisputed leader in the handheld market and have enjoyed successive triumphs up to and including the DS. Now, however, it would appear that the need for dedicated gaming handhelds is narrowing and with it Nintendo’s success. Nintendo’s most recent portable device, the 3DS, released in 2011, was met with apathetic sales and criticism over its hefty price tag. This prompted Nintendo to lower the price sooner than they would have liked and forced them to sell the system at a loss – something which Nintendo famously avoids. These measures seemingly worked up until now, but a lack of upcoming titles seems to be causing the early sales stagnation to repeat itself. Similarly to Nintendo, Sony suffered just as much, if not more, in terms of sales. While Sony have always been the underdog in the handheld market since the release of the PSP, the new instalment in their series of portable hardware, the PlayStation Vita, has had exceptionally low sales, with sales struggling to keep up with even the lowest expectations and a games library yet to acquire a true hit. The greatest irony of this whole evolution of handheld gaming is that Nintendo is finding itself on the other end of the phenomenon. 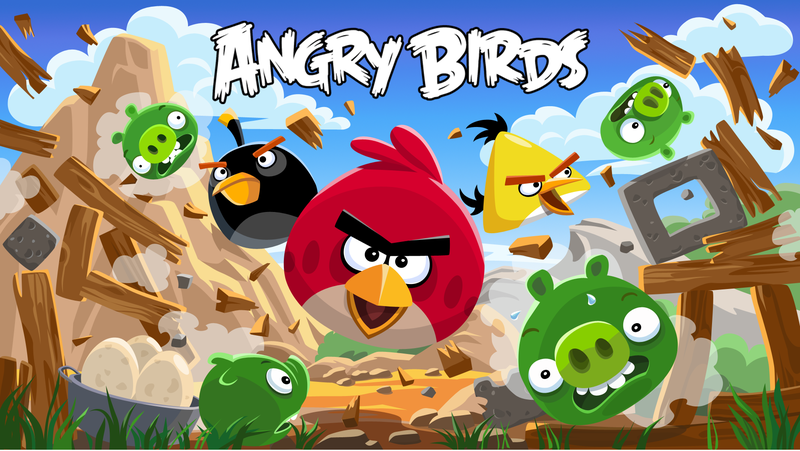 Angry Birds is the modern equivalent of Pokémon and it is permeating pop-culture in almost the exact same way as Pokémon did in the 90s. Where with Pokémon toy manufacturers found themselves quickly losing their audience to a product they couldn’t quite understand, Nintendo now finds itself facing a product it can’t effectively compete with. Nintendo will find itself slowly languishing in the portable world until it is too worthless to salvage itself. If Nintendo want to benefit from this transformation, they must abandon their hubris and develop a presence on the App Store or Google Play Store. With the calibre of intellectual properties of which they possess, they cannot help but succeed. The portable gaming that we all grew up with is coming to a close. Hopefully the new mobile generation will be just as enjoyable. Previous Previous post: King David | Matthew Coughlan.